Content is one of the 4 essential pillars of a 360° digital marketing strategy. All the stories or information you share online about your business or brand is done through content. Owned – your own web site. 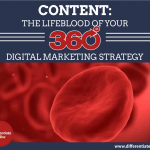 In a previous article, I talked about how content is the lifeblood of a 360° digital marketing strategy. You should read that to have an understanding of how important content is to creating a successful 360° online presence. 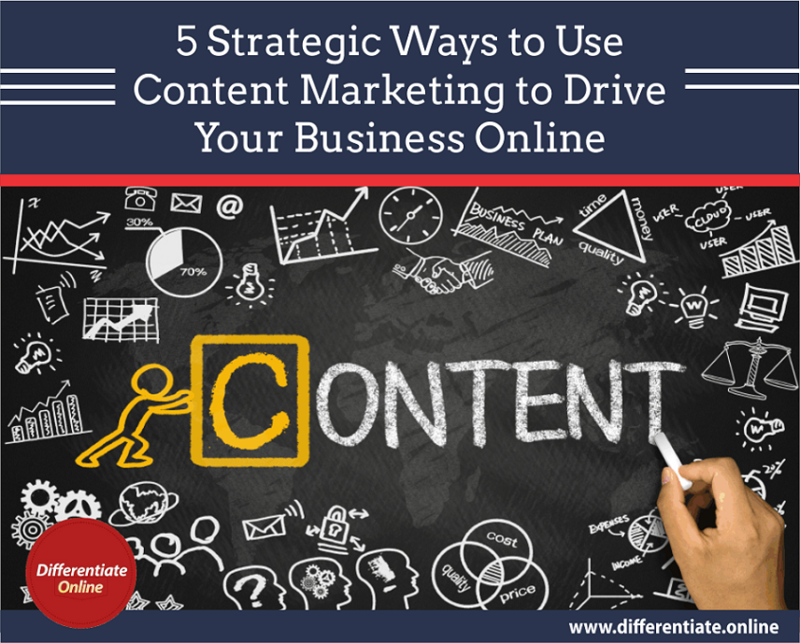 This is a follow up to that article; here I will be sharing 5 strategic ways of using content marketing to drive your business online. Content is how people discover you online, there’s absolutely no other way to be found online besides through content. Content is every form of communication that passes information: Product descriptions, photography, blog posts, articles, white papers, press releases, social media updates, podcasts, video… Everything. At differentiate online we refer to content as your sales people because it carries your message to folks who discover you on the Internet. They are what you must send out to generate visibility, interest and attention for your business. On the Internet, there two major sources of being found by your target audience; search engines and social media. So unless you are actively involved in content creation and promotion, your chances of being found online is zero! 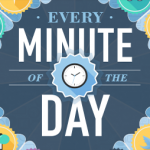 This is the foundational strategic use of content marketing to drive your business online. 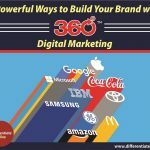 Because without brand visibility, all other aspects of your 360° digital marketing will fail. Using content for making your brand visible to your potential customers is good, but you can take things a lot further with content. Content can also be used to reinforce your brand message in the minds of your target customers. This is an effective way to strategically differentiate, position and establish your brand as a unique player in your industry. Using content for Brand reinforcement is more about the message in your content; what kind of information are you spreading about your brand? Your business can be fairly known by your target audience, but what exactly is it being known for? It’s not enough to be known (visible) for just awareness sake, your visibility must also create and communicate unique value proposition. This is what it means to use content marketing to drive your business online through brand reinforcement. It’s about reinforcing a particular impression, perception, and position to your target audience in order to distinguish your brand from the rest. In other words, don’t just use content to be visible, also use it to be different! Content is also a good tool for customer support. 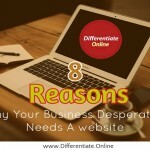 Are you aware that many of the questions asked by customers are often repeated? According to Rahul Sachdev from Get Satisfaction, approximately one-third of customer questions are repeat or common issues. So instead of having a large team of customer service people, you can create contents to the most frequently asked questions from customers. This customer service strategy is known as self-service. The objective with self-service is to determine all of those likely customer questions, and then provide answers to them, ideally in multiple content formats—text, video, audio, photographs, infographics and beyond. The benefits are two-fold; customer satisfaction increases and your operational costs decreases. So it makes a lot of sense, on both the customer experience and cost efficiency fronts; to mine your complaints and feedback for patterns and commonalities, and then address those issues with easy-to-access contents on your website. 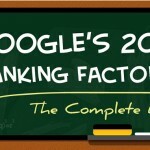 As a matter of fact, customers love this according to a research by Forrester which revealed that 72% of consumers prefer using a company’s website to answer their questions. This further confirms the use of content marketing to drive your business online for customer service purposes. While your content may be visible to your target audience, not every one of them maybe interested in what you are saying. That’s why it’s critical to not only use your content for visibility sake alone, but also for lead generation. Lead generation is another strategic way to use content marketing to drive your business online. Leads are potential customers or prospects for your business. Your target audience becomes a lead when they opt into your sales funnel by dropping their contact information for further communications. The more leads you are able to generate for your business, the higher your chances of converting them into sales. Through strategic content marketing, you can build an active audience around your business, company or brand. These are people who follow your brand as a result of the valuable information you provide through your contents. The more they get to know, like and trust your contents, the more leads you are able to generate for your business. These leads can then be consistently nurtured through an effective sales funnel that will eventually convert them to sales. One common mistake businesses make is to focus all their attention, resources and strategies to get the customers to buy without planning for customer retention. But a sale shouldn’t be the end goal of your marketing campaign. Did you know it costs about 7 times more to acquire a new customer than it costs to keep an old one? 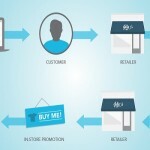 Customer retention is your ticket to healthy business growth. Nothing guarantees a steady flow of income for your business other than repeat customers. But not all businesses give customer retention the due attention it really deserves. This is where content marketing can be strategically put to good use as an effective after sales tool. For example, if you sell a product/service that is highly technical, content marketing can be used to continually educate the customer on the essential know-how’s. By so doing, you are creating a stronger and better buying experience for the customer which eventually translates into more repeat purchases and even referrals. There are obviously more strategic ways to use content marketing to drive your business online. These 5 discussed above are not all of them, so how have you been using content marketing to drive your online presence? Digital Marketing Strategy: Push VS Pull?